See Models for more information. To see what you can do with charms visit the Charms page. 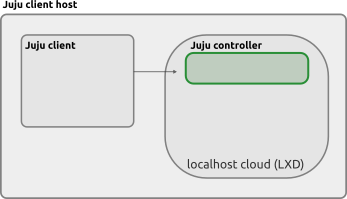 In Juju, a container is a generic term that is used to refer to either a LXD-based machine or a KVM-based machine. LXD itself can operate over the network and Juju does support this (v.2.5.0). See the Client page for how to backup and upgrade the Juju client. In general, all agents track state changes, respond to those changes, and pass updated information back to the controller. 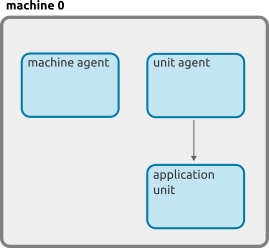 A model's status (status command) is built up from the communication between a controller and all the agents running in that model. Agents are also responsible for all logging that goes on in Juju (see Model logs for details).